Donald Bacon Sr. began in the appliance service business in 1958 and established a reputation for friendliness and quality workmanship. His attention to details and care for customer’s home started a loyal following which still continues. 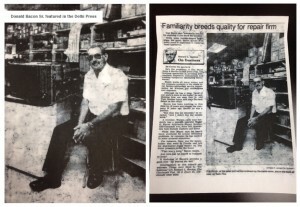 The company is still family owned and embracing our heritage, continuing to do business as Don Sr. did because excellent customer service never goes out of style. Don Bacon Appliance Service will do our best to handle your repair needs. Your time is valuable and a one visit repair is our goal. To help us accomplish this goal, we have fully stocked trucks with factory replacement parts and professional technicians that are up to date with the latest technology. Our technicians also receive training at the factory as well as locally. Due to our commitment to quality workmanship and customer service we have been selected to provide warranty service for many top name appliance brands. 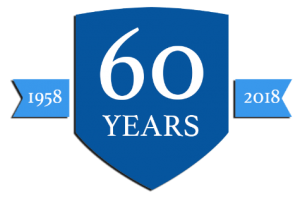 We serve the Greater Cincinnati and Northern Kentucky area as Factory Certified Service for Sub-Zero, Wolf, Cove, Asko, Scotsman. We offer expert repairs on Amana, Bosch, GE, Hotpoint, Fisher & Paykel, Frigidaire, Jenn-Air, Kenmore, KitchenAid, Magic Chef, Whirlpool, Thermador, and others. Follow us on Facebook for more information about us, tips and recipes.